Goa known for countless Best beaches in Goa, Dudhsagar waterfalls is a pleasant exception. It is a four-tiered waterfall surrounded by greenery. Dudhsager waterfalls in Goa in India is among five highest waterfalls. Think of milky white water cascading over the steep face of the mountain from the outstanding height of 310 m i.e. 1017 feet and an average width of 30 meters i.e. 100 feet.! This will leave you awestruck and spellbound as you watch the tremendous power of nature in the Dudhsagar Waterfalls. The name ‘Dudhsagar’ means sea of milk. It got its name because the waterfalls literally look like milk falling. This spot has become a favorite destination for both domestic tourist as well as international tourist. Welcome to the Dudhsagar Waterfalls in Goa. The name ‘Dudhsagar’ means the sea of milk. The beauty of the waterfalls is at peak during the four-month of monsoon season which can be the best time to visit the falls but the scenic beauty is still available throughout the year. During the summertime, the falls appear more awesome and calm but they are back in action asap monsoon arrives. You can go for a swim at the falls to enjoy waterfalls to cool down during summers. During the monsoon, it is the best time to visit the falls, as they are in the most rebellious phase of flow. But the scenic beauty is still available throughout the year. In summer, you can visit here and go down swimming for chilling yourself. The most pleasant weather is to be experienced between November and February. March to May can be warm and uncomfortably humid. The Monsoon months of June to September, are the most scenic when the entire area is lush and green, however, during these months the access to the waterfalls could be cut off due to flooded rivers and huge quantities of water cascading down the falls. Dudhsagar Waterfalls is the fourth largest waterfall in India. Its height is about 320meters or 1017 feet. The elephantine falls there gathers the attention of many visitors and nature lovers who come from a foreign country to view the waterfall’s glory. 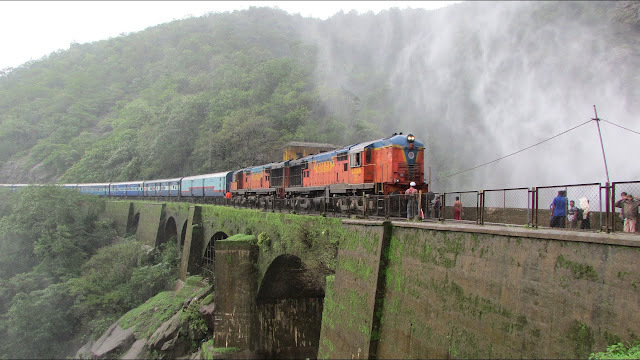 Dudhsagar Waterfalls in Goa is located in Madgaon- Belgavi rail route. Dudhsagar waterfalls are located in the forest of Bhagwan Mahavir Wildlife Sanctuary. The sanctuary is a dwelling for animals and birds. Therefore, we can spot various animals like Bengal tiger, leopards, bison, bear, wild dog, spotted deer, porcupine and birds like kingfisher, bulbul, grey-headed myna, and peacock and plenty of butterflies like blue Mormon, plain tiger, lime butterfly, tailed jay if you are lucky. There are monkeys moving freely around. Do not feed them as there wild and can attack you. 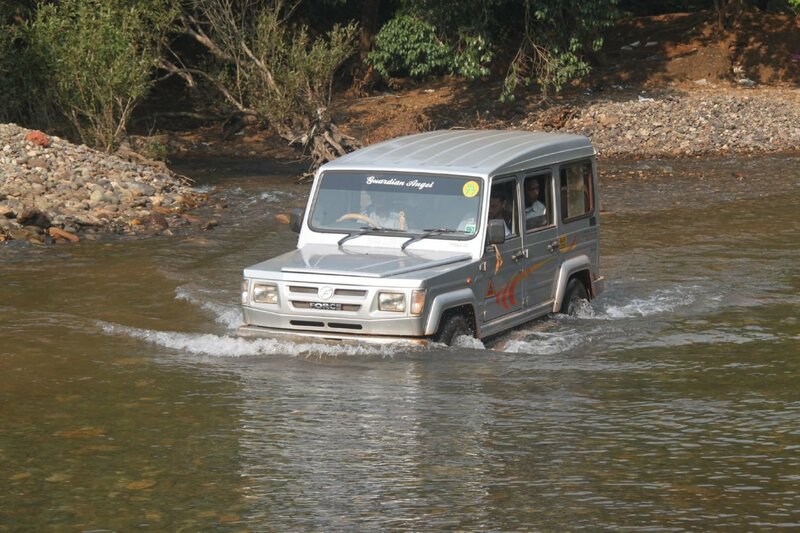 Dudhsagar Jeep Safari should be added to your Dudhsagar Waterfall trip at any cost. 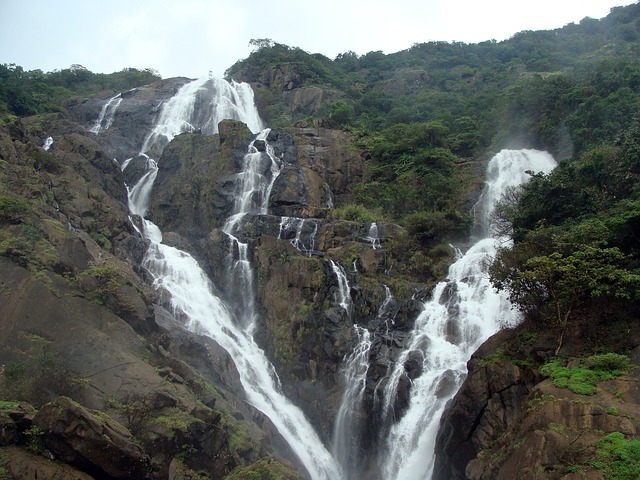 The Dudhsagar waterfalls are located in the forest of Bhagwan Mahavir Wildlife Sanctuary in Goa. The sanctuary is full of wild animals and birds. The road through the falls is through the wildlife sanctuary and so is full of scenic beauty. A trip to the lush greens will leave you rejuvenated. The jeep ride of 11 km through the wilderness lets you watch the nature in its full glory. The Dudhsagar Waterfall is situated on the coast of Goa and Karnataka. If you staying in the capital of Goa, Panjim, or other North Goa locations, then you would need to go by road. The Dudhsagar trip is not that much difficult. Baga beach is just 65 kilometers far from the closest point of Dudhsagar waterfalls. It is located just 40 kilometers away from Madgaon. Most people end up hiring a taxi to Dudhsagar waterfalls, but you can also hire a bus. Forest Department there also provides jeeps which will take you to the waterfalls. There are two trains available daily, and you would need to depart at the closest spot which is Kulem. Also, you could also depart at Castle Rock Station. Goa Railways has banned any of the trains from stopping near the waterfalls anywhere. The jeep safari will tale one hour but in that one hour, you will nature in its full glory. You can also go for elephant ride over there. Trekking is the best way to visit Dudhsagar Waterfalls. 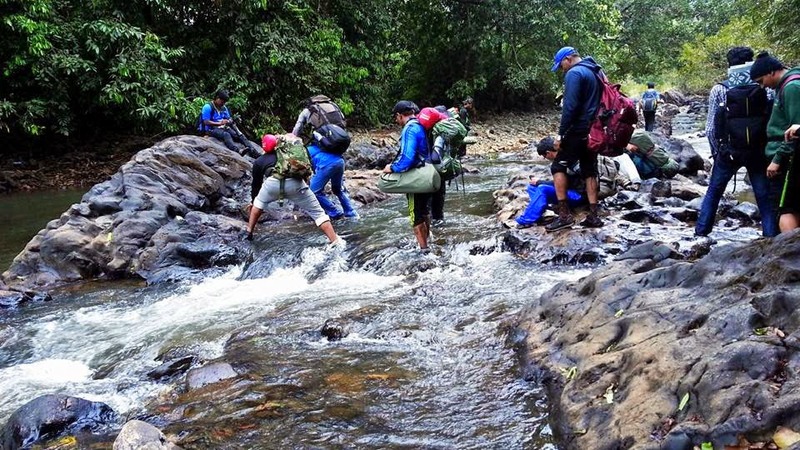 Trekking is altogether a different kind of experience. It is difficult but not impossible. After crossing hundreds of puddles and tricky paths, when you stand in front of waterfalls you feel victorious. No charges will be taken for taking pictures. So don’t forget to capture pictures in your camera. You can also visit Spice Plantation located in Keri where you will be welcomed with herbal tea. You will get to see the plantation of pepper, cinnamon, cloves, vanilla, nutmeg, and various fruit trees. It’s a humble request that please don’t carry plastic over there. The trip becomes more exciting if you get to see animals like bison, bear, leopards, and birds like bulbul, peacock, and kingfishers. Do not forget to capture the exotic scenes in your camera although there is a fee to carry cameras and videos cameras in the sanctuary. After the last stop, take a walk to the falls as the guide informs you about the sanctuary and the falls. 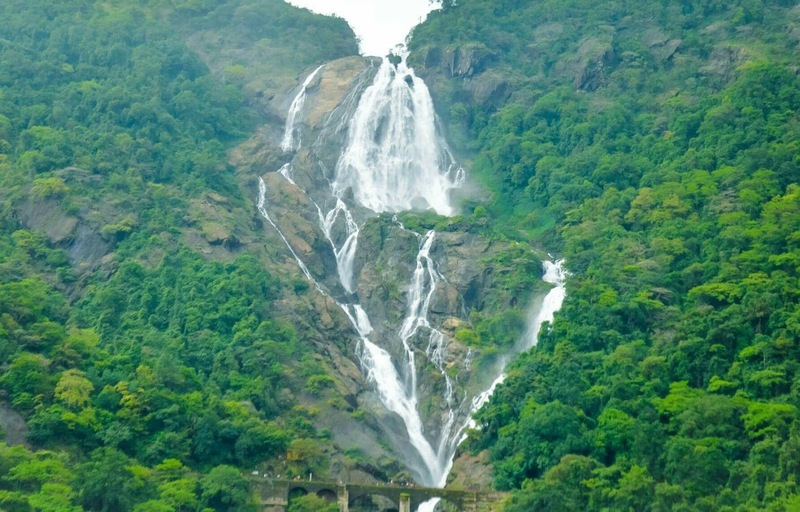 Dudhsagar waterfalls are the 5th highest waterfall available in India. The jeep safari through the wilderness along with the stroll to the falls is the most awesome trail for both adventure junkies and nature lovers. The Spice Plantation in Dudhsagar Waterfalls offers a lot to make your trip memorable. Tempt your taste buds to enjoy a Goan style buffet lunch offered at the plantation spot. Also, feel proud while you indulge in an elephant riding as well. After that get off to witness the oldest attractions of Goa standing with their heads high, the Old Goa churches and heritage. Wind up the day tour after you being dropped back at your hotel located at North Goa. This trip also includes the jeep safari and visiting a wildlife sanctuary. Dudhsagar Spa Resort is the closest accommodation near Dudhsagar Waterfall. It is organized by the Goa Tourism. Here you will find multiple tents available to those who actually want to explore nature and its glory. You will also get there a Jungle Cafe, an eco-friendly cafe near Dudhsagar Spa resort that delivers tasty vegetarian and non-vegetarian food and dominates all its waste materials. The Dudhsagar Waterfalls Trip will take a whole day but you will get to collect beautiful moments over there. The feeling after reaching there will be amazing and can’t be expressed. To experience it, Seawater Sports are giving you chance. After the trek to Dudhsagar falls, visit a spice plantation will amaze you. You get to see the spices like cloves, nutmeg, cumin, cinnamon, pepper, and vanilla, how they are grown and processed to reach the market. 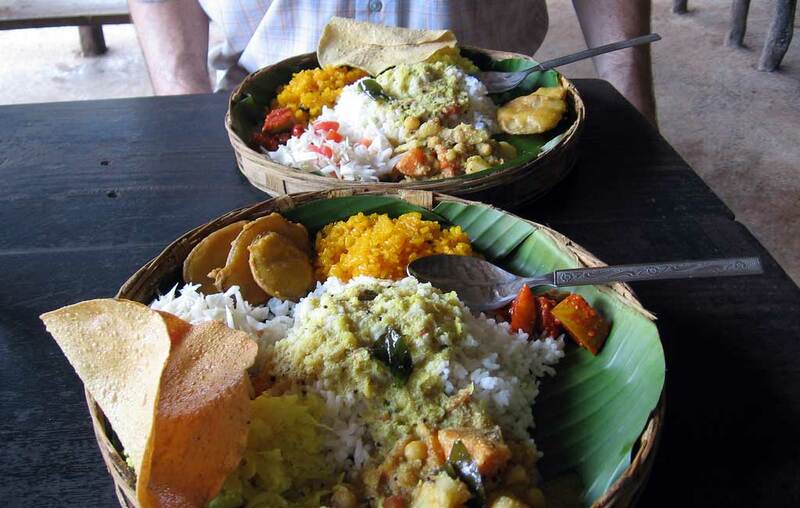 You can relish the sumptuous traditional Goan buffet laid down for you at the spice plantations. This is followed by the trip to the old and historical churches in Goa. A tour to heritage sites like Se Cathedral, Church, and Convent of St. Francis of Assisi, Chapel of St. Catherine, Basilica of Bom Jesus, Church of Lady of Rosary, Chapel of St. Catherine, Church of St. Augustine will leave you enlightened. A jeep safari through nature, visit the mesmerizing Dudhsagar Falls followed by a tour to a spice plantation and ending up on the journey to the old Goa churches. A perfect and a complete tour !!! There is nothing more you can wish for.